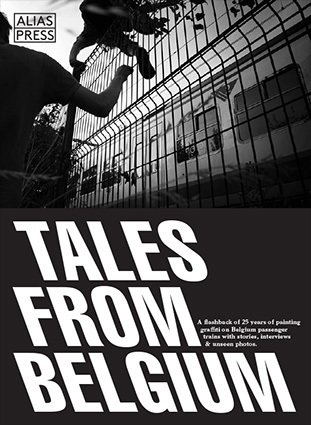 A flashback of 30 years of painting graffiti on Belgium passenger trains with stories, interviews & unseen photos. As ‘SABOTAGE’, Europe’s first book about graffiti on passenger trains aptly put it in the early 90s, the Belgium railway company is quite unlucky being trapped between three of the most important graffiti scenes in Europe; Germany, Holland and France. In the beginning, the green and red trains of one of world’s densest railway system were mostly painted by foreigners, but soon after Belgian writers started to develop a small but active train writing scene with a diverse variety of styles and talented writers. This book chronicles the first 30 years of those tales.